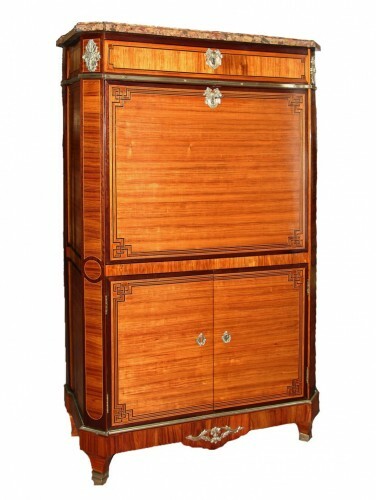 Very important cylinder bureau with mahogany veneering mounted on oak wood, 18th century, epoch Louis XVI. 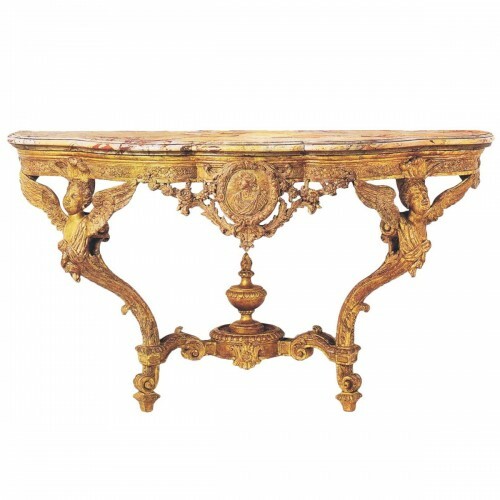 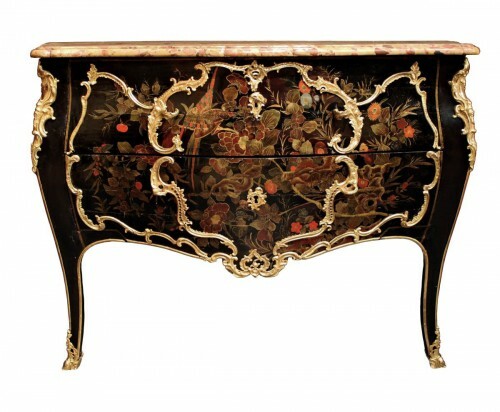 It shows on the upper part three drawers topped with a galleried marble. 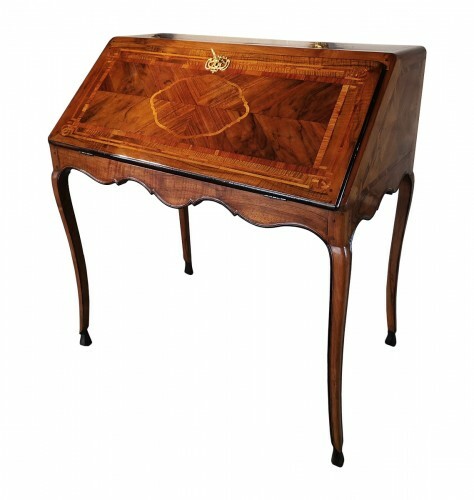 In the central part a cylinder mechanism opens on a glide tray with its leather, and three small drawers as well as three pigeon holes. 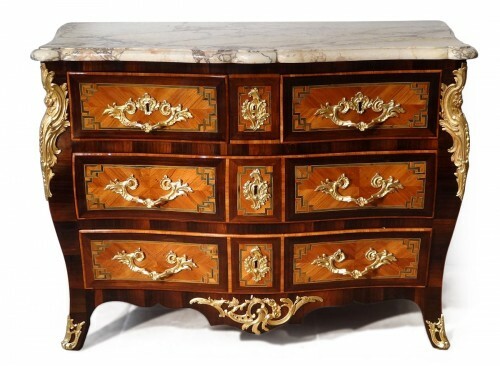 The lower part is formed by two drawers on each side and a middle drawer. 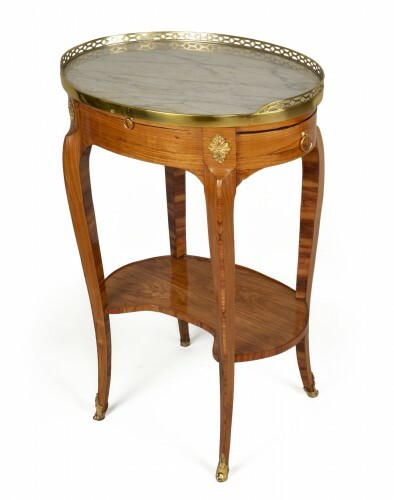 The feet are spindle shaped, the furniture is gilt-edge (brass) decorated, and has two lateral glide trays.